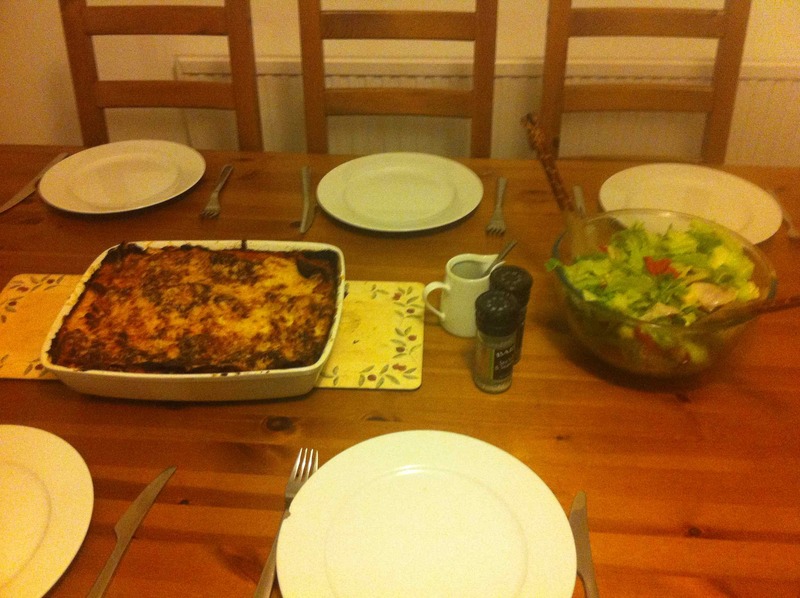 Made lasagne last night always a firm favourite with the kids and simple and easy to make! Fry some chopped onion, garlic and the mince, add some chopped bacon, when it’s cooked through add a jar of pasata (much better than tinned tomatoes in my view), a little tomato paste, some red wine, a bay leave, mixed herbs and a dash of Worchester sauce and Tabasco). Secret ingredient? A little ketchup! Leave to cook through. Meanwhile make the sauce. The trick with doing a sauce is not to do what the recipe books say by cooking the flour and butter first and then adding the milk. I do the opposite! Let the milk warm a little then add the butter let it melt a little and then slowly whisk in the flour. Stir, stir, stir, till you get a nice consistency, and then add grated strong cheddar. In a large dish layer alternatives of the mix, lasagne sheets and the sauce, finishing with the sauce then cover with grated cheese. Cook in the oven till the top is golden brown and bubbling. I served this with a green salad (iceberg lettuce, cucumber, tomatoes, avocado, olives and red pepper; with an Italian dressing on the side). I also made garlic bread, which I think is much better homemade. In a pestle and mortar pulp 8 – 10 garlic gloves, then add the butter, a little rock salt and some olive oil. Cut the French bread into slices and cover with the mix on both sides, any left over can be smeared over the outside. Wrap in tin foil and pop in the oven for the last ten minutes or so of the cooking!! Had an Italian friend amongst the guests who gave it an A+, high praise indeed!! 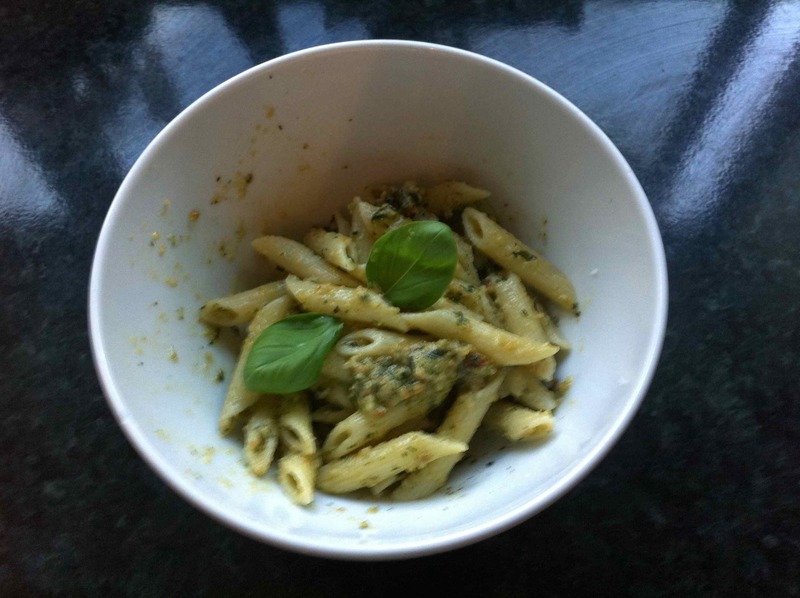 Why anyone would buy shop pesto when it is so easy to make is beyond me. I made it last night (always make sure I have fresh basil and pine nuts in the house). Simply roast the pine nut and add to a bowl, throw in basil leaves, lots of olive oil and blend together, fold in some grated Parmesan cheese and season. Mix with cooked pasta. One of my favourites! I am going to break my rule of only blogging about food that I have cooked, because the food that I had on a recent short trip to Italy was just so wonderful that I want to record it so that I can try some of the recipes at a later date. I was staying in a wonderful small village high in the mountains in the Emilia Romanga region, which is renowned for its good food. I got the opportunity to experience both authentic home cooked Italian food and some wonderful restaurant meals. Where to start! The first evening we had pizza – I had quantro stazioni one of my favourite pizzas. Simple, but wonderful. For lunch the next day we had a local speciality – Insalada Cereseto. It was invented by someone from the village about 15 years ago. It consists of tuna, with chopped egg, butter beans, which is then covered in slice apple topped with a coating of mayonnaise. Seems like a strange combination, but it was surprisingly good! The second evening we had a meal at my friend’s aunts house. She cooked homemade pasta stuffed with spinach, riccotto cheese, parmesan cheese, breadcrumbs, an egg to bind the mixture and a few other secret ingredients. You can also add a little grated nutmeg apparently. This was followed by sliced veal with a stuffing in the middle, Russian salad and home grown tomatoes that were soo so sweet. The next day we had a feast for lunch. 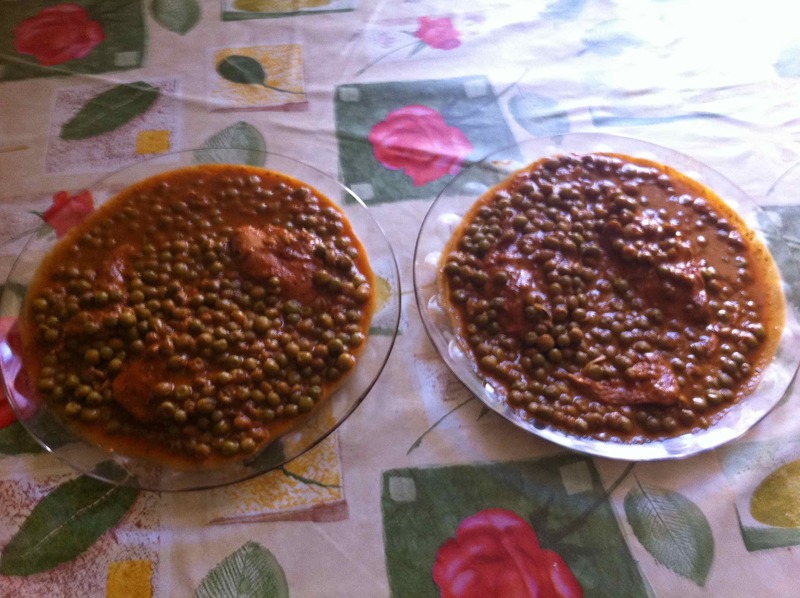 The first dish was chicken with peas cooked in a wonderfully rich sauce. This was followed by polenta topped with a mushroom sauce. The region is famous for its mushrooms and there are even restaurants that specialise in nothing but mushroom dishes. Many of the locals have secret locations for picking mushrooms, which they won’t reveal to anyone! To finish we had a rich fantastic homemade tiramisu. In the evening, we ate outside a wonderful fish restaurant high in the mountains. For me this was the highlight of the trip. As an appetiser we were given potato cakes, which were deceptively simple but utterly divine. I am guessing but I think the ingredients included sliced potatoes and onions, rosemary and I suspect a mix of egg and cream. The mixture was surrounded by short crust pastry. I couldn’t get enough of them! 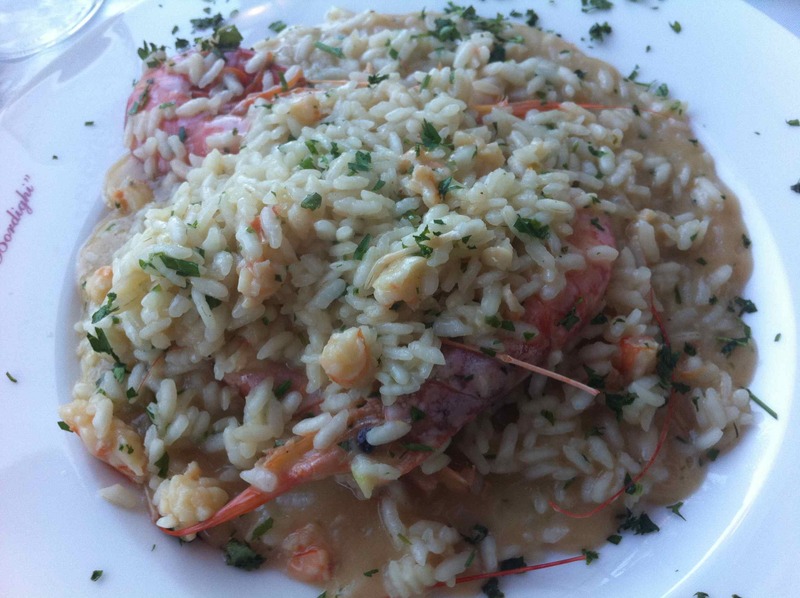 The first course was seriously the best risotto I have ever had with great big gambas – rich and delicious. Finally for main there was ovan-based fish, which I suspect was sea bream, simply cooked and wonderful. What an amazing trip, I look forward to trying to reproduce some of the dishes.